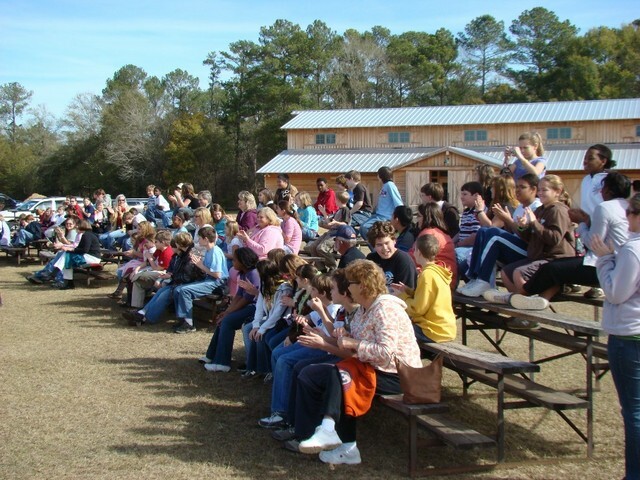 SEARS had the pleasure of supporting the Webelos Rocket Rally on October 25th 2008 at Emerald Coast Skydiving in Elberta, AL. The October weather was perfect and the Skydiving center has a beautiful field. 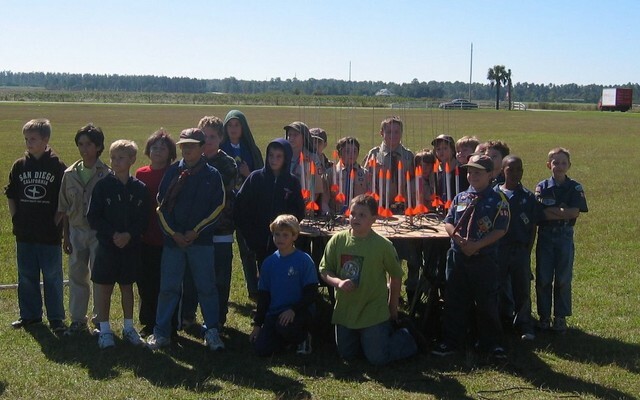 There were over sixty Webelos this year, the biggest turn out yet and it could double next year. Russ Roberts and Greg Lane put on two rounds of demo launches. 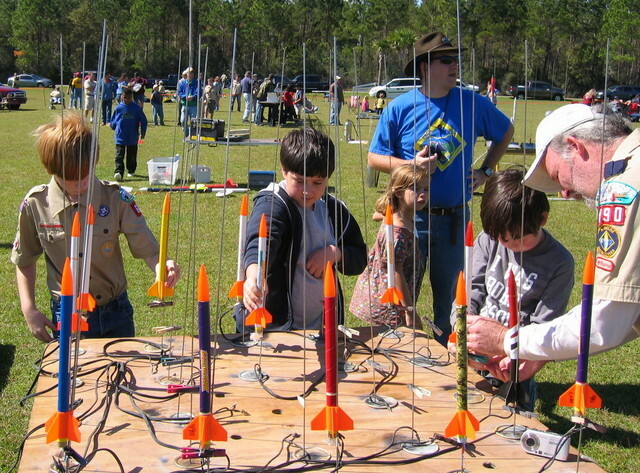 The Webelos launched their Starhawk rockets twice individually and then they did mass launches with the SEARS Mass launcher. We enjoyed the Skydivers between launches. The event was well orchestrated by Richard Gean and his team of leaders. The response to the demos and mass launch was very positive. Of course we plan to return next year. See all the pictures at http://sears572.com/gallery/2008-10-25. 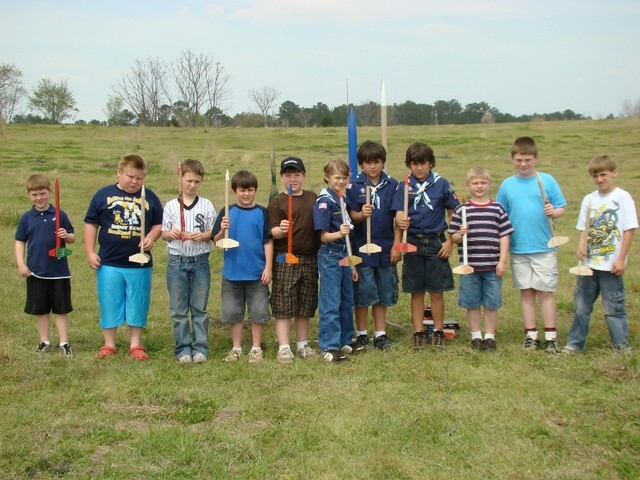 The Pack 124 Bear Cub Scouts launched their own rockets March 22, 2008 in a field near Headland. 12 Boys built Fliskit Thing-a-ma-jigs and got to fly them twice. (A6-4 and B6-4). They boys even got to drag races their rockets on the 2nd launch. All rockets were recovered. I put on a short demo before they launched. I will submit their names for the NAR 50,000 event. Thanks to Jim Flis for the easy to build and fly rockets. We had a couple of rockets come in with tangles chutes, but there was no damage. SEARS supported the Alabama Aerospace week at Landmark Park in Dothan, AL Feb 20 - Feb 24. 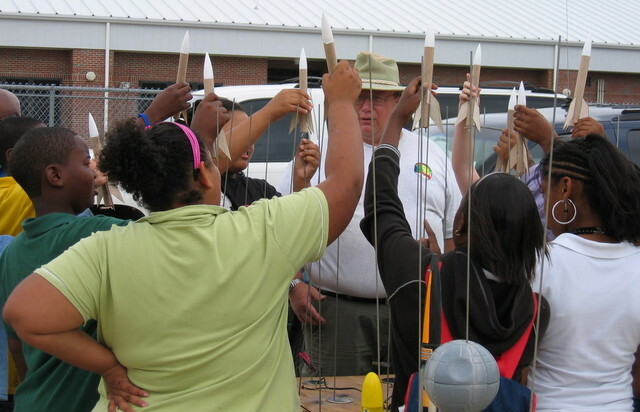 We provided a Newton’s Law talk and rocket demo flights. The activities at Aerospace Week also included a R/C Airplane demos and landing/takeoff by an Apache helicopter. This year, rain starting on Thursday limited the number of demos. Thanks to Jack Kale, Randy Wiggins and Marty Wiggins of SEARS for doing the demos. See photos below and more in the gallery. 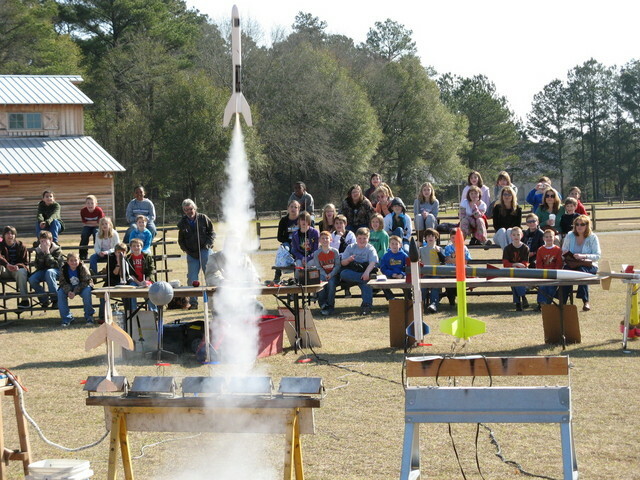 SEARS has done a Newton’s Laws talk and rocket demo for the Alabama Aerospace Week program at Landmark Park near Dothan, AL each year since 1999. The Alabama Aerospace Week program typically involves three or four demos a day over the course of four days. This reaches about 600 young people each year. This years dates are February 20-23, 2008.